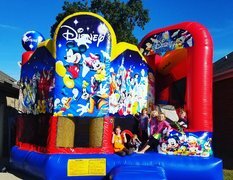 Combo Bounce Houses are the best of both worlds offering a bounce area and inflatabe slide all in one inclusive inflatable. 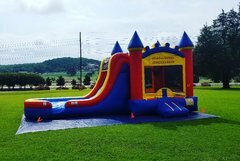 Are you ready for a bouncing, sliding good time? That's what you'll get when you choose one of our combo units here at All 4 Fun Rentals. Your kiddos will be entertained for hours as they jump, climb and slide. 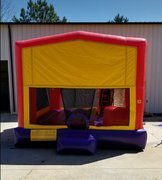 Wait theres more, every one of our bounce combos have a basketball hoop inside and we include a soft basketball to add even more fun to your party.